It was approximately five minutes prior to the launch as I was walking past the room used to view launches when Bob Ebeling stepped out to encourage me to enter and watch the launch. At first I refused, but he finally persuaded me to watch the launch. The room was filled, so I seated myself on the floor closest to the screen and leaned against Bob’s legs as he was seated in a chair. The boosters ignited, and as the vehicle cleared the tower Bob whispered to me that we had just dodged a bullet. At approximately T+60 seconds Bob told me that he had just completed a prayer of thanks to the Lord for a successful launch. Just 13 seconds later we both saw the horror of destruction as the vehicle exploded. The story we know today is one of a preventable tragedy. 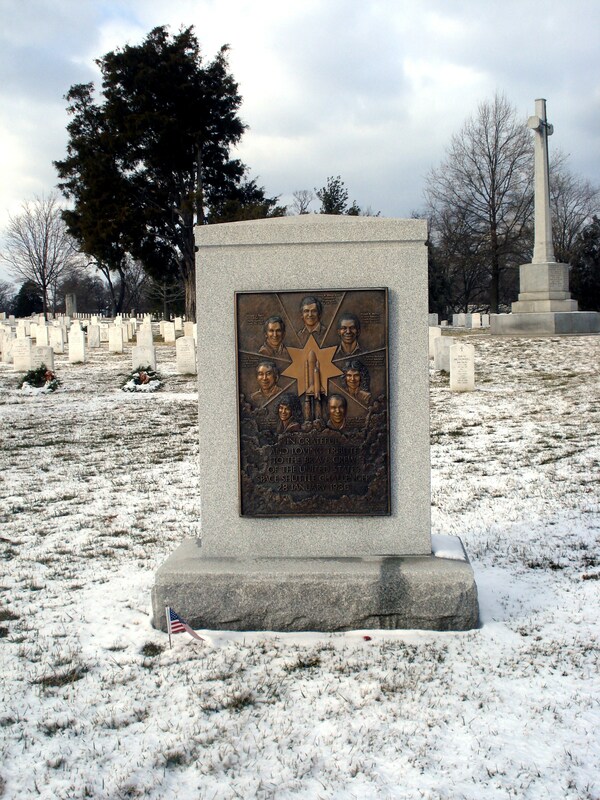 Seven special Americans lost their lives barely a minute into their ascent toward space the morning of January 28, 1986. Each had a story, a rich life, and dreams for the future—all curtailed too soon. One Facebook user simply responded, “damn… all because of that gd o-ring” to the Newseum’s Facebook posting. Many people wrote what they had been doing that day, where they had been, whether they were watching on television and, if not, how they had found out. People wrote not just that they had been in school, but they often also named what grade they were in, their teacher, and what class period was going on at the time. had to do with human error in understanding data, communicating, making decisions, and becoming complacent about safety. The commission determined that the Challenger tragedy had been “an accident waiting to happen” that was not averted because NASA had a “broken safety culture.” These findings prompted widespread changes in spaceflight operations to better ensure that safety issues received due attention, without shortcuts or poor assumptions. Spaceflight is inherently risky, and there are no shortcuts to the management of risk. Vigilance is the price of safety, and vigilance cannot be relaxed. Pay attention if something isn’t right; it may be telling you something important. Communicate clearly and be disciplined in decision-making. The tragedy of Challenger deserves a layered response that includes the honoring of those lost, the awe of science and exploration, admiration for the bravery of shuttle crews, and the recognition that any of us—not just astronauts—could be put in a position in which we might need to blow a whistle. From Ronald Reagan to the everyday Facebook user who posts comments, many people rightfully speak of the courage of those who let themselves be launched into space. What should also be acknowledged is the courage of those who speak out against dangerous or unethical decisions in the workplace. And of course, employers should foster a work environment where employees feel safe to speak out. There may be no easy way from the earth to the stars, but there should be an easy way to share information that could save lives. This entry was posted in Museums and Holidays, National Postal Museum, Newseum and tagged Arlington National Cemetery, Challenger, Columbia Memorial Space Center, Goddard Visitor Center, Museum of Flight, NASA Day of Remembrance, National Air and Space Museum, National Postal Museum, Newseum. Bookmark the permalink. how wonderfully well-put! and i’m serious, read Feynman’s account of his time on the investigation committee. even in the text, you can sense that he was seething with anger at the institutional “blind eye” found at nearly all of the levels of the administration. the safety numbers he throws out about what the engineers could reasonably produce versus what the administrators expected are really quite frightening. Thanks! I am interested in reading that book.